Once you have established a Life Dream, a meaningful personal Goal that will fulfill your Purpose or Mission of this lifetime, What Then? (see Yeats poem, linked). How are you to bridge the seeming gulf between where you are Now and where (and how) you wish to Be? What holds you back from pursuing or from realizing your Dream? Before you can set sail to the destination of manifesting your fulfillment, your Bliss, you need clarity about the process you can take to bring your goal within the grasp of realization. That means you need to have a clear view of your destination and a good awareness about how you will manifest your goal. When a Dream or Goal seems too remote or unrealistic from where we are Now, we are less likely to take practical steps in the direction of ever realizing this goal. I have found in working with life mappers over the past decade that it can help to conceptualize where we are at in relation to a Goal by viewing the situation from a broad overview perspective. One basic technique for ‘zooming out’ far enough to see the whole is a basic form of mind-mapping called a CLUSTERING technique. 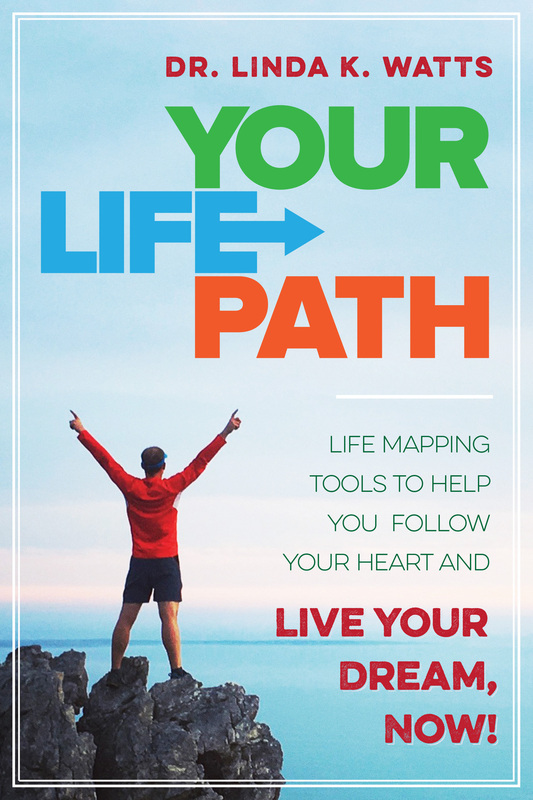 I will present a very tailored version of this technique in Life Paths; for now, though, I invite you to use a very general approach to help you to frame parameters of your Life Dream that are relevant to developing your motivation around your Dream. For an example of his method, I recommend Mary Carroll Moore’s excellent book, How to Master Change in Your Life, as she presents a similar clustering approach there in relation to bringing about a desired change. You may start this clustering practice simply by placing a word or phrase representing your Life Dream in the center of a blank, unlined page. Then start reflecting on this Dream. What benefit will you gain from realizing this goal in your life? Write something describing this benefit somewhere on the page (above the center to express a positive aspect) and draw a line from your Dream to this benefit. Are there outcomes or consequences from this benefit to also consider? Draw a line from the benefit to this other consideration. Are there negative sorts of challenges (e.g. cost or time limitations) that you associate with your Dream? Draw a line to a space below the center and write these considerations. For every branch extending out from the center that you connect with the considerations that arise as you reflect more deeply on this Dream, you may draw sub-branch limbs to clouds of related considerations around these. You can also connect considerations over the whole page to one another. For every negative challenge or fear, etcetera, that you expose with this mind-mapping technique, do aim to also place a positive ‘antidote’ or solution to this challenge, as well. After you complete the clustering session, you may wish to envision and to journal or write about the insights you have gained. Has a plan of sorts revealed itself? What steps can you begin to take now in your life that can help you to overcome obstacles to your manifestation of this valuable Life Dream? Tagged: cluster technique, How to Master Change in Your Life, Life Dream, meeting challenges, mind mapping, poem, trouble-shooting, W. B. Yeats, What Then?